Mogubai was born in Goa at Kurdi on 15th July 1904. She was known as "Moga" in her childhood. Her mother Jayashree had a sweet voice but could not afford to have a training in classical music. So, she joined "Chandreshwar Bhootnath Sangeet Natak Mandali" of Goa along with nine year old Moga. They acted in many musical plays like Bhakta Dhruva, Bhakta Pralhad and sang songs. Here they met "Layabhaskar" Khaprumama Parvatkar and Balkrishna Parvatkar, who initiated Moga in classical music and taught her a few preliminary lessons. Her mother died when Mogha was just ten years old. In 1919, she joined the Satarkar Sangeet Mandali and played the roles of Sharada, Subhadra and Kinkini. In this troupe she had the benefit of the guidance of Chintubuwa Gurav in music and Ramlal in dance. The training in dance was ultimately to become a valuable asset in Mogubai's attaining mastery over tala and laya. After leaving this troupe, she shifted to Sangli in about 1920 and took tuition from Inayat R. Pathan. That did not last long. However she continued to practise whatever she had learned from various Gurus. One day, she was singing a Marathi natyapada, "madivarri chal ga gade", in her house, and saw an impressive personality standing before her, who said, "Keep practising! I always listen to your music whenever I go this way. Today I felt like seeing you." That was the great Alladiya Khan, the doyen of the Jaipur Gharana. From the very next day she began learning under his guidance, but the path was not an easy one. In 1921, Kahnsaheb shifted to Mumbai to teach Kesarbai and others. Mogubai followed him, but other disciples of the Jaipur gharana (among them - allegedly - Kesarbai Kerkar) prevented Alladiya Khan from teaching Mogubai. She then had to learn from Bashir Khan, Vilayat Hussain Khan and Alladiya Khan's brother, Hyder Khan. Hyder Khan was generous in imparting knowledge to Mogubai, who absorbed diligently whatever came from the tutor. But she was again a victim of scheming and manipulation, and Hyder Khan was made to leave Bombay by those who could not digest the progress showed by Mogubai. Alladiya Khan then decided to teach her, around 1934,a nd the taalim continued until his death. The travails of Mogubai were crowned with enviable success when she was eventually recognized as a first-rate exponent of Indian classical music. Apart from her celebrated daughter, Kishori Amonkar, her disciples include Padma Talwalkar, Kamal Tambe, the late Wamanrao Deshpande, the late Suhasini Mulgaonkar and Babanrao Haaldankar. 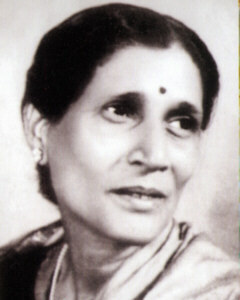 Mogubai was the recipient of a Sangeet Natak Academy award (1968), "Padmabhushan" (1974), and a Sangeet Research Academy [Calcutta] award (1980). In 1976 she was the President of the Akhil Bharatiya Gandharva Mahavidyalaya's music conference at Goa. Reproduced by kind permission of Suresh Chandvankar, Hon. Secretary of the SIRC, from his article, "Mogubai Kurdikar (1904-2001)", The Record News (ISSN 0971-7942), TRN 2001, pp.90-91. The Record News is the journal of The Society of Indian Record Collectors. The group is doing pioneering work in compiling discographies of Indian music, and in the dissemination of information about the music and musical culture of the 78rpm era. Alain Danielou, A Catalogue of Recorded Classical and Traditional Indian Music (Paris: Unesco, 1952), pp. 92-93. 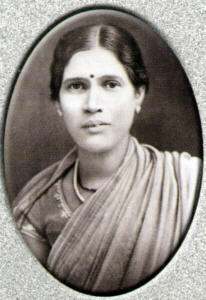 Suresh Chandvankar, "Mogubai Kurdikar (1904-2001)", The Record News (ISSN 0971-7942), TRN 2001, pp. 90-91. Michael Kinnear, "Mogubai Kurdikar" (A Discography), The Record News (ISSN 0971-7942), TRN 2001, pp. 92-94.